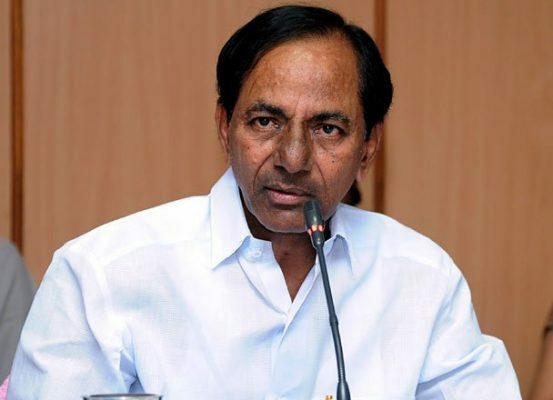 Hyderabad: Taking everyone by surprise, including the opposition parties, Chief Minister K Chandrashekhar Rao announced a slew of benefits to a cross section of society on Friday. A hefty increase in the salaries of staff working in Mini Gurukulams, free domestic power supply to families of SCs and STs upto 101 units per month, increase in remuneration for Imams and Mouzams and the enhancement of retirement age for archakas comprised the bouquet of benefits announced by Chandrashekhar Rao. The biggest beneficiaries are the families of SC and ST communities for whom free domestic power supply was upto 50 units per month earlier. It has now been enhanced to 101 units to ensure that the benefits of increased power availability reaching down to the lower rungs of society, an official press release said on Friday. The Chief Minister also decided that the monthly remuneration for about 9000 Imams and Mouzams in the State should be hiked to Rs 5000 per month. The Imams and Muzams were initially paid only Rs 1000 per month, which was increased to Rs 1500 per month. This would now be made Rs 5000 per month with effect from September 1. Similarly, long pending demand of archakas in the State for enhancement of the retirement age was also conceded to by Chandrashekhar Rao. The retirement age will now be 65 years (earlier 58 years) and the payment of the salaries for archaks would be on par with the government employees and pay revision benefits would also be given to them on par with the Government employees. The salaries are to be paid from the State Endowment Deparment directly. The other major announcement, which is sure to bring cheers to employees of 29 mini gurukulams is the hefty rise in their salaries. The salaries of headmasters and wardens would be incresed from Rs 5,000 to Rs 21,000, CRTs from Rs 4000 to Rs 15,000 , PETs from Rs 4,000 to Rs 11,000, accountants from Rs 3,500 to Rs 10,000, ANMs from Rs 4,000 to Rs 9,000, cooks Rs 2,500 to Rs 7,500, Ayahs from Rs 2,500 to Rs 7,500, helpers from Rs 2,500 to Rs 7,500, Sweeper from 2,500 to Rs 7,500 and watchman from Rs 2,500 to Rs 7,500.